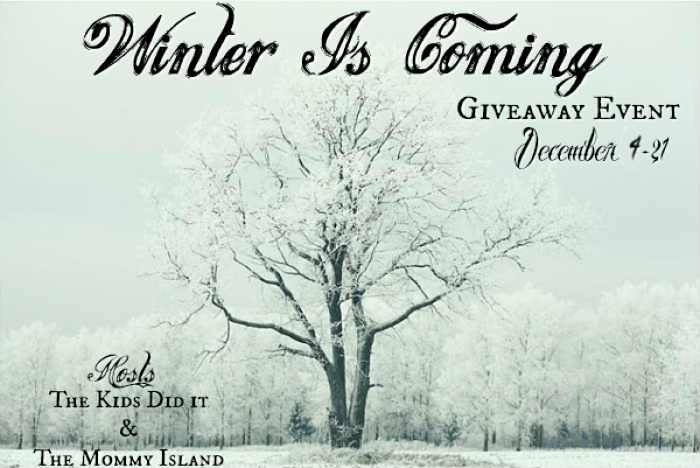 Welcome to the Winter is Coming Giveaway Hop Event hosted by The Kids Did It and The Mommy Island. From now through December 21, hop along to all participating blogs for a variety of fun, family friendly giveaways you can enter to win. There is no limit to how many you can win, so hop along to enter them all. **Post contains affiliate links. I will receive a small commission for any purchases made via these links. All thoughts are 100% my own. Okay, okay... it might not officially be here just yet, but it's certainly starting to feel like it here in Indiana. We've even had a few small snowfalls, though nothing to write home about just yet. Oh yes, the buffalo plaid. It's no secret to anyone who knows me that as far as I'm concerned, winter is buffalo plaid season. There's just something so warm and inviting about it that just screams winter and Christmas to me. Perhaps that's why as I sit here writing this I am cozied up in a buffalo plaid sweater, and wrapped in a buffalo plaid blanket. I wasn't kidding. I REALLY love this print! And I'm not the only one obsessed either! Perhaps you love it yourself, or have someone in your life who does. We just cannot get enough. And so today, I have scoured Etsy to find and share with you some great products perfect for the buffalo plaid fan on YOUR list! I LOVE this bag! We do a lot of traveling for the holidays, so a good bag is a MUST! This is a gift that is not only super cute, but very useful too. And the personalization options make it a great one of a kind gift idea too! How fun are these!? Such a cute way to add a bit of plaid to any outfit! They come in a variety of colors too, so you can choose whichever combo is your favorite... or get them all! I can't think of a better (or cuter) way to keep warm this winter than with one of these adorable plaid hats! They just scream winter to me...and come in a variety of sizes, making them the perfect gift for anyone! I honestly have LIVED in my buffalo plaid blanket... it looks great in my home, and is super cozy too. Honestly, you can't go wrong with any blanket, but I love this hooded option for extra warmth and comfort! This could be great for outdoor sporting events too!! It's classic, it's simple... it's a gift that really just cannot go wrong! I personally tend to be drawn towards infinity scarves like this one, but you can find them in just about any style you prefer too! We carry our phones with us everywhere, so why not dress it up and make it personal for the season!? I love this cute phone case, available in a wide selection of phone models too! If there's anything I love more that plaid--- it's coffee! This makes the perfect inexpensive gift, and could even be combined with a Starbucks gift card for the perfect gift for the coffee drinker in your life. This is a fun idea for the person who spends a lot of time in their car! I don't know about you, but I hate when I go to get into the vehicle during the winter and have to place my hands on an icy steering wheel. This is a fun way to avoid that, that looks super cute too! Like I said, Buffalo Plaid is EVERYWHERE and on EVERYTHING! These are just a few of my favorites. Head on over to Etsy and let me know some of YOURS. And as part of the Winter is Coming Giveaway Hop, one lucky winner is going to win an Etsy gift card! Enter using the giveaway form below. Etsy is my go to place for amazing gifts for family and friends they have such unique items everyone loves. I love Etsy.All these Buffalo plaids are beautiful. I love all the unique items on etsy! I love the plaid fad too! I love the buffalo plaid look! Etsy has unique merchandise. It's fun to see all the creativity. I really like the plaid phone cover you showed. I like the steering wheel cover. Etsy has so many wonderful things. I love this giveaway. I like the Honey Sampler gift package. 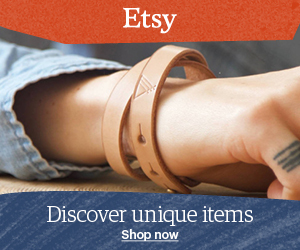 I love many of the products listed on Etsy.